It’s finally here! 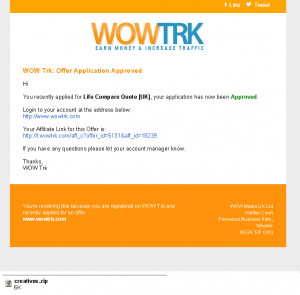 The most requested feature from affiliates is the ability to receive email alerts when approved or rejected for an offer which requires approval on WOW Trk. 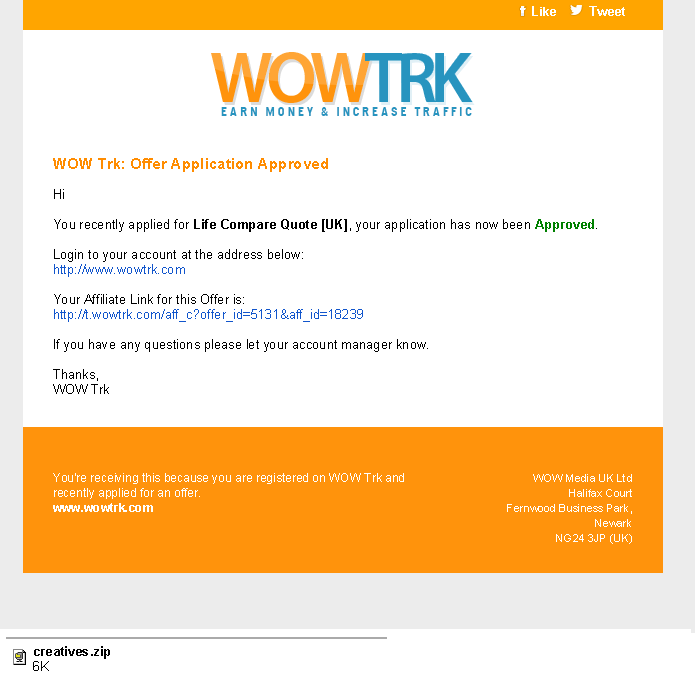 Now when you are approved for an offer on WOW Trk you will receive an email, the email will also include your unique affiliate link for the offer and attached to the email will be all your creatives – so you can start running the offer without even logging into WOW Trk! Over the coming months we will be making it clearer which offers require approval. Instead of having to click on each offer to find out if it requires approval. Offers listed in New Offers and Top Offers will clearly show if you need approval or not to be able to run the offer. We will also be updating the internal tools our team use, meaning they can arrange for you to be approved on an offer before contacting you about a specific offer that may require approval.